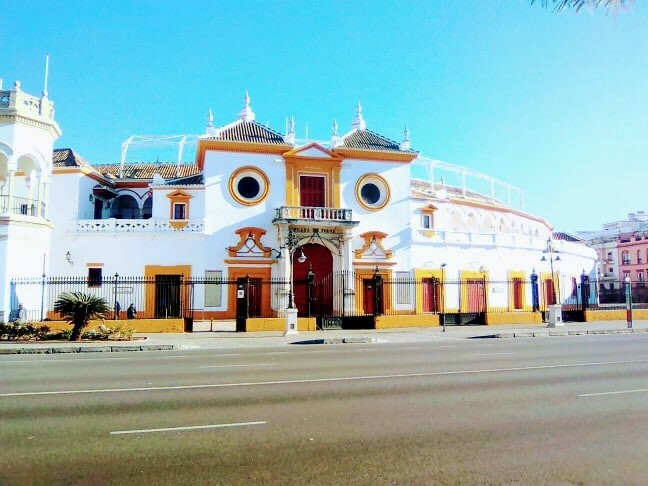 My experience in Seville began when one day i decided to go for the big adventure, try a new amazing experience with only a back pack, some clothes and a heart full of passion and love for adrenaline. In fact, my plan was to cross the borders between Portugal and Spain for the cheapest price and by the most amazing way that could allow me discover awesome landscapes of the two countries, experience an amazing travel, meet splendid and kind poeple and live the real and pure adventure ! Departing in the morning from Porto, i took the train high speed that connected Porto to Lisbon in a 313,3 km distance and that cost approximatively 33 euros for one way ticket. 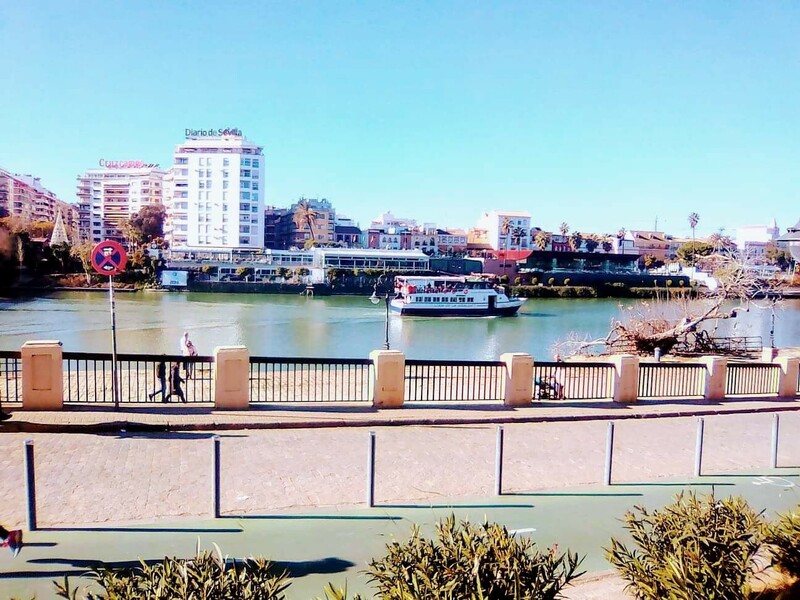 Then my plan was to take the Flexibus from Lisbon oriente road station to Seville with a distance of 450,7 km for only 15 euros which was way cheaper than taking the plane or driving the car but the bus had a duration of seven hours so it was the real road trip. 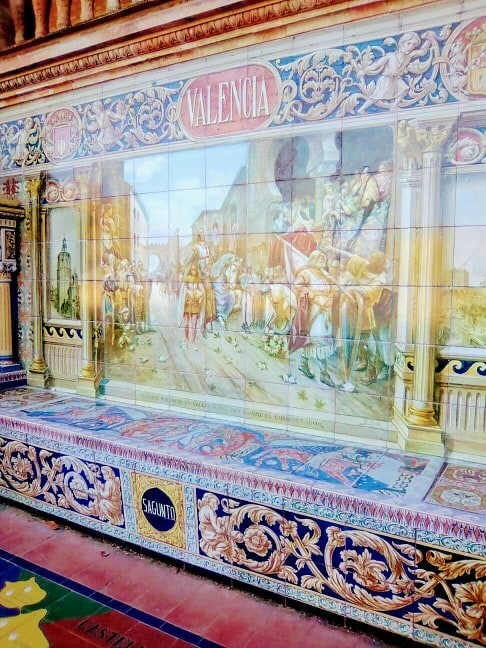 In fact, the travel in the bus allows also a visit to three other cities in the way ; Albufeira, Faro in the south of Portugal, Huelva in Spain after crossing the border and finally Seville which was of course worthy. I took the train in Portugal connecting the two big cities Lisbon and Porto many times and it had never done any lates before so my plan was to take the train early in the morning 8.30 to arrive Lisbon approximatively 12.10, then i had to search for the road station of buses, take the Flexibus to Seville that would depart at 12.50, the problem was that the train did a huge late, i was really counting on that ideal planning that was characterised by a bit close timing, but each minute, each second was passing like hours and the train did not even move...i had in my mind clearly that it was impossible to catch the bus. This was a real lesson for me to know that the travel planning could be subject to many modifications and factors, the hours of any planning poeple do must not be close and exact because many factors can influence the course of facts. In the train i could be more calm and enjoy the landscapes of the sea in Vila do conde, Espinho, of many cities passing by such as Vila Nova de Gaia, Aveiro, Coimbra-B and finally Lisboa - Oriente. Arriving to Lisbon, knowing i was so late, i had to run in the extreme speed to reach the bus, i was lost, did not find any buses, i asked poeple in the street, finally the Flexibus was waiting with very handsome and smiling driver that told me : we were still waiting for poeple, don't worry since you paid your place..it was a true releif. In the bus, the real adventure began, we crossed many amazing roads in Lisbon, we saw many great and beautiful landscapes but the most impressive one was passing by the great Vasco da gama Bridge with 17 km making it one of the longest bridge in Europe, also it was constructed on the Tage river with the longest area of approximatively 12 km with a view on the river very far from the city. The first city that we were expecting was Albufeira, a municipality in the district of Faro in the south of the country, a touristic city famous for its amazing warm beaches and relaxing atmosphere. We could go out of the bus for three hours to refresh ourseleves. Then we continued our road trip to Faro which is located in the famous Algarve. This part of Portugal is very touristic especially in summer time, many luxurious homes, many residences and hotels could be seen in this very popular area. Arriving the borders, we were surprised by the changing of the landscape to a real tough place, mountains and forest everywhere, the night was coming by and the road was more deserted. There was not any kind of controls or anything on the road, the atmosphere was really impressive, a bit scary as there was nothing beside trees and forest, then appread the first city in Spain Huelva which is the capital of the province of Huelva, famous for its Jardines del Muelle, its amazing Port and La Merced Cathedral. 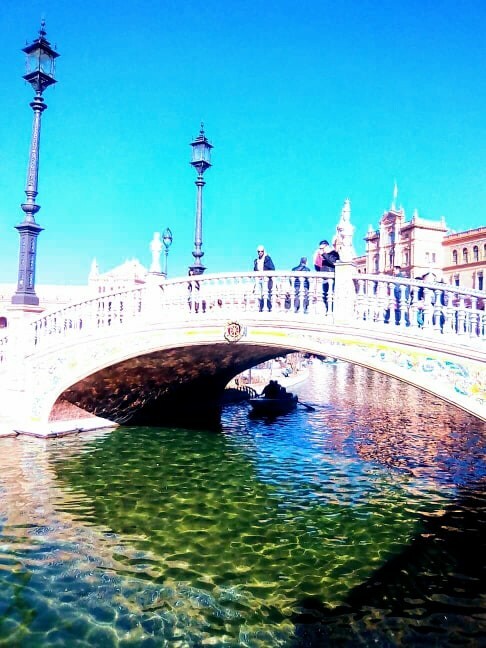 We were approching step by step to discover Spain, and step by step to the amazing city Seville.. This content has been entered in the Erasmus Travellers Competition and have earned 558 points.